I’ve written many times about House of Blues Cleveland. 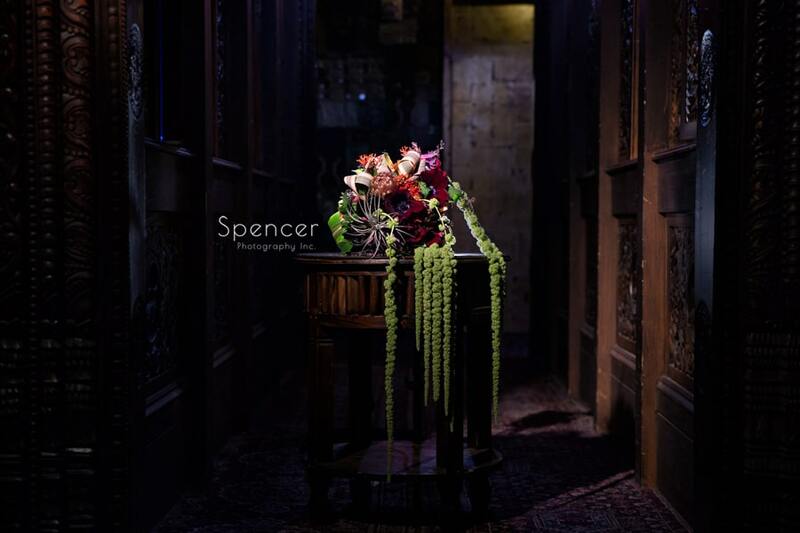 They are on my list of best wedding reception venues in Cleveland and also best wedding venues in the area. 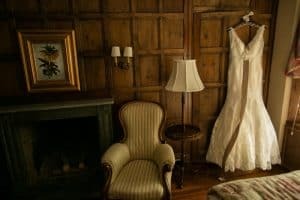 I am collaborating with some of Cleveland’s best wedding vendors for some pictures in this unique venue. I teamed up with Lindsay London Beauty, The Red Twig for the awesome bouquet, The Dress Bridal Boutique for the beautiful dress on our gorgeous model, Savanna. 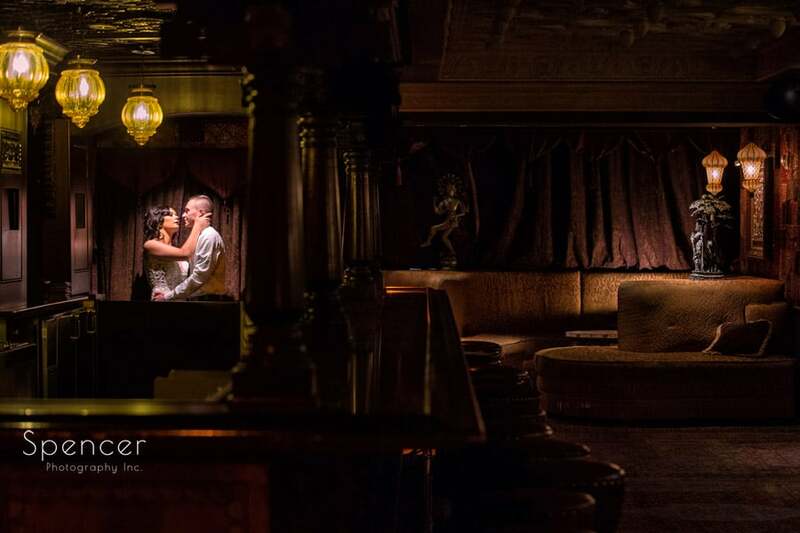 We started in the Foundation Room on the top floor of House of Blues. 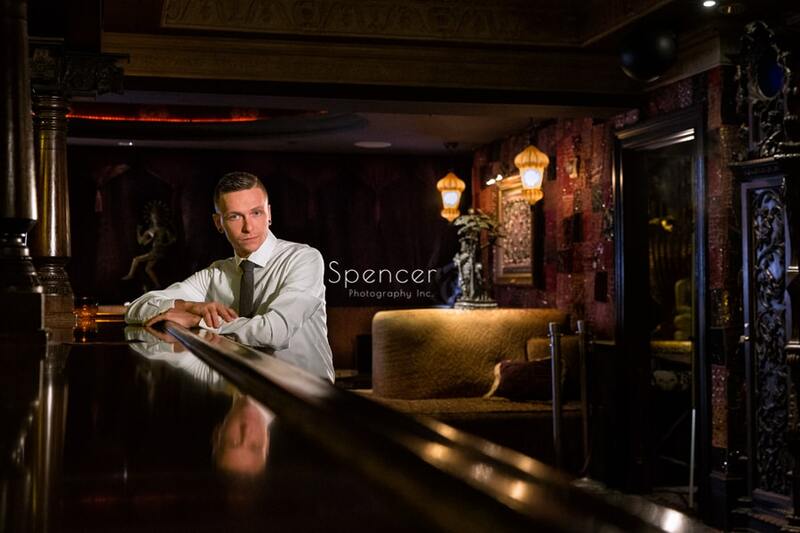 As Savanna was getting her hair and make-up done by Lindsay London Beauty, I did some images of her husband, Scott. 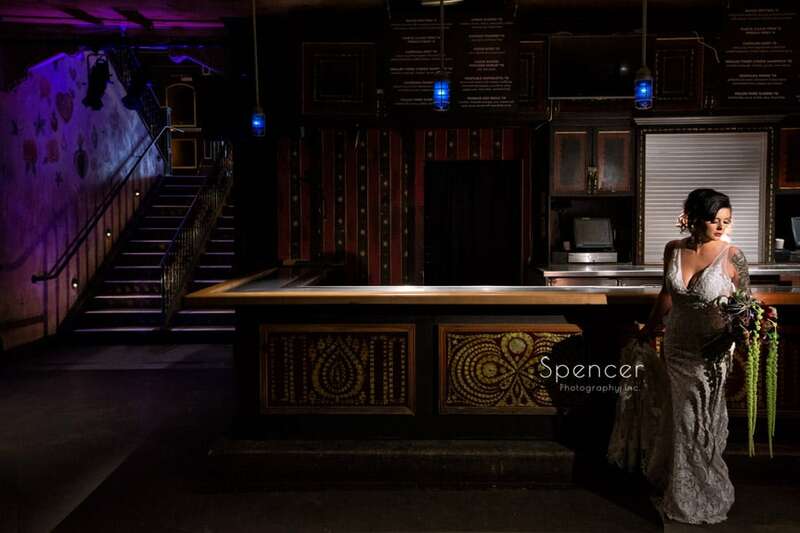 Any place in the house of Blues will be a challenge if you’re not adept with any type of alternative light source. It’s dark, moody and perfect for my style of photography. 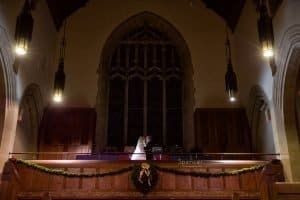 For this session, I was able to use a constant light source and even a tripod, which is a rarity for me, since those items are more of a hinderance on a busy wedding day. It did help tremendously for this session, though, since I was able to take the time needed to capture each creative idea and not be concerned with having a finite amount of time in the location. I wanted to get something dramatic on the staircase this is just inside the entrance to the Music Hall. I’ve done pictures at this spot during wedding receptions in the past, but never had the time necessary, which is a fact of life on wedding days. Not a problem today. I was able to get what I needed and we happy with the results. We ended up in the Cambridge Room. 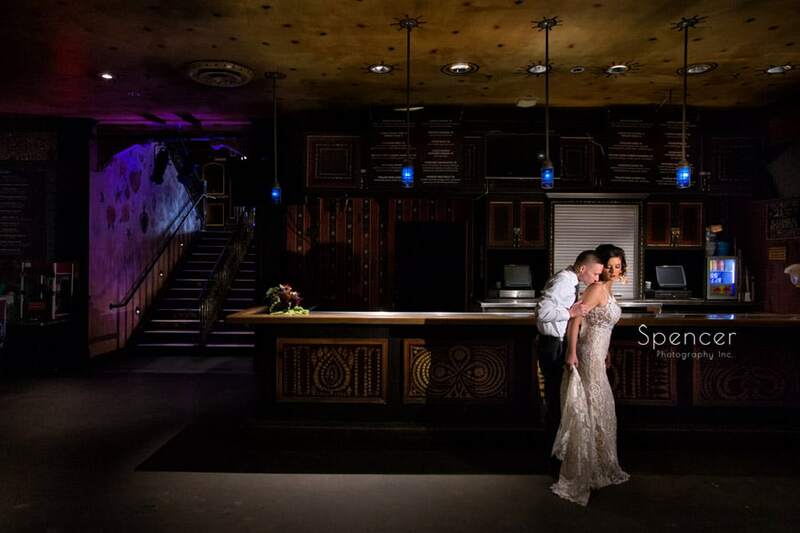 This room is used for smaller receptions and other events at House of Blues. For these images, I just wanted to reflect the space in that capacity. Seeing it as a viable and nice location for an intimate wedding reception within HOB. 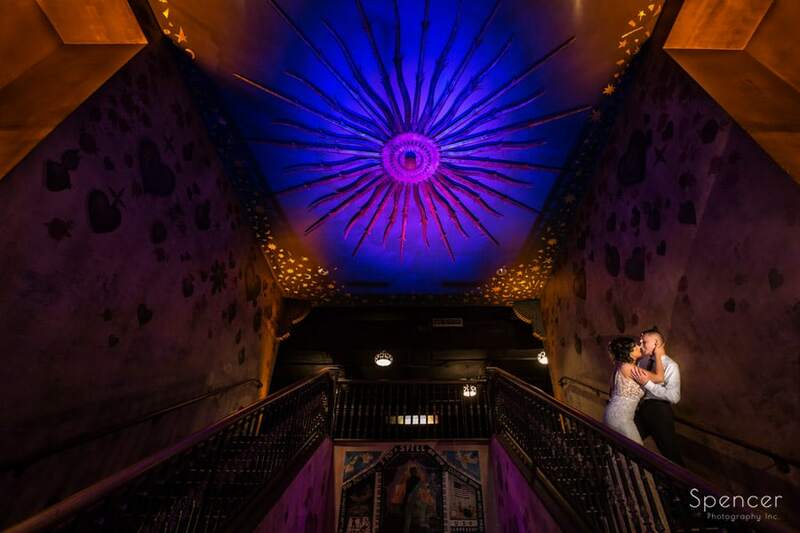 I want to thank Jennifer and House of Blues Cleveland for giving me the opportunity to spend some time in one of my favorite wedding venues in Cleveland. Here are just a couple of my favorite pictures from the session. I will be posting more pictures in the near future.